​Thanks for visiting Newark Towing. Chances are you're in a bind and you need roadside assistance. If that's the case, then simply click here or fill out the form on this page so you can get roadside assistance, right away. We offer professional towing services at an affordable price. Oftentimes we hear our customers call us the "Best Towing Service around Newark New Jersey." Our experts provide a friendly towing service that will allow you to relax no matter what your circumstances are. We're always ready to give you a fast, reliable and affordable towing service. ​We're are always ready to give our clients the help that they need. Not only are we the most reliable tow truck service company we're also the most affordable company in Newark, NJ! We will price match any one of our competitors. Our tow truck prices are extremely competitive. Why? Well, we'd like to ensure that you're getting the best towing and roadside assistance service possible, like we've done to so many of our customers. Not only that, but our towing response times are very quick. Usually we'll arrive at the scene with one of our tow trucks anywhere from 15-30 minutes from our response call. We've towed customers on nearly every road in the Newark metro area. We have the skill set needed to get your car off the road at any time of the day or year. Our professional tow truck technicians will get you back to your normal life, in no time. Face it, being stuck on the side of the road is uneasy experience, so why deal with the hassle? Click the following link for more information on why you should choose Newark's most trusted towing company. 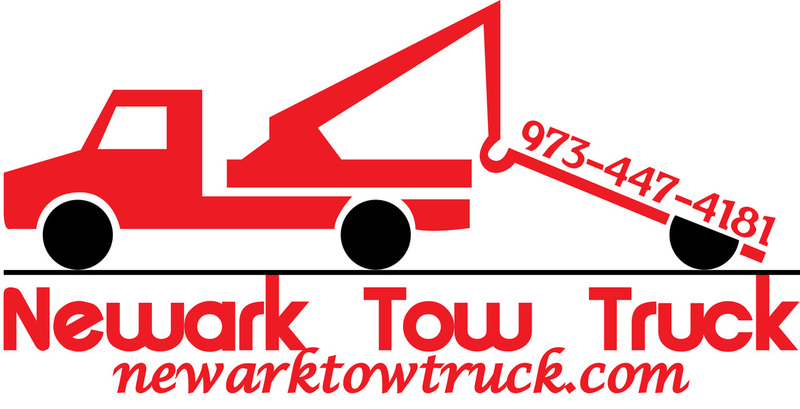 ​​As Newark's best towing company, we strive to setting the standards for all the local tow companies near by. We've got years of experience servicing Essex, Hudson and Union Counties and have helped countless individuals who were either stuck on a road or needed professional towing services. No matter what the occasion is we take our towing truck business very seriously. ​Nothing makes us happier than when a client tells us that we "came to the rescue," or that "we're heroes and saved their day." The last thing that you want to do when you're far away from home is either lose your keys or lock them in the car. It's one thing to have this happen to you when you're around your neighborhood, but to have it happen when you're far away from home is a terrible situation to find yourself in. Hopefully, you'll have phone service and if you do, then make no mistake, we can unlock your vehicle safely. Our automotive locksmith technicians have been trained rigorously to use a variety of different tactics to open your vehicle. Nothing more annoying than losing gas. You may have missed an exit or miscalculated a drive. Perhaps you even left your wallet somewhere or the gas station was closed. Running out of fuel can be one of the most preventable accidents that can have your car stranded on the side of the road. It happens all too often. If you find yourself in this situation, then simply call us up. If the distance to the nearest gas station is close enough for us to re-fuel, we'll simply deliver gas to your location, so you get back onto the road. Whenever inclement weather hits the North Jersey we tend to find vehicles sliding and scattered all over the roadside. Oftentimes collisions can occur or vehicles drive out of control into ditches, snow banks, creeks, or even river. If this has happened to you then call us now for our winching and vehicle pull out services. We can haul out your car or truck using wired cables that pull the vehicle back onto the road safely. It's always when you leave your car at the mall or at New Liberty International Airport (EWR) when you find yourself stuck in a bind. Any time you leave your car for several hours with the power on, you run the risk of killing your battery. You might have been in a rush to get to where you were going and innocently left one of your car lights on. A dead battery can cause a serious inconvenience to your daily routine, especially during evening hours. Typically, our first thought is to start asking strangers if they have battery cables, but if you're in a public place, this can sometimes be very dangerous. Instead of putting your safety at risk, give us a call now so we can get you out of this hairy situation. A deflated tire can occur from several instances and we've seen it all. We've gotten calls from tires that have been slashed with knives, but more commonly get calls from customers who have had nails stuck in their tires from construction sites, or have had tires flattened by glass found all over parking lot and busy streets. If any of this sounds like you, then we give you a free estimate, and can plug your tire on the spot or simply tow you to the nearest service station. Did your bike breakdown? No matter if you're stuck on the side of the highway or if it's sitting in a garage, we can tow motorcycles. We have an easy way of using harness straps to safely stand up your motorcycle and protect it from being damaged. Most people add more damage to their motorcycles by placing them in a pickup truck. Don't be that guy. This is perfect for any junkyard or auto shop owners. Do you have vehicles that you want to have transported or towed? We can tow damaged vehicles from any auto body shop to your junkyard for parts or scrap metal use. Depending on the severity of the damaged vehicle, we've got the equipment to safely haul and transport any car or truck. Also, if you own a parking garage in Newark and need a vehicle towed that's been parking in your garage for too long or illegally, then ask us about our commercial towing services. Let's say that you want to bring vehicle to your favorite mechanic but their office is closed for the weekend. You need to get your vehicle off the road, but where can you bring it? We have a safe and affordable vehicle storage lot, right outside of Newark for store your car or truck. Once their office opens, we can simply tow your vehicle over to their location.